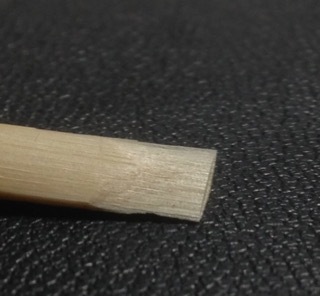 ProneOboe: Oboe Reeds: Why Are the Blades Different Lengths? When I clip my reed to shorten or balance it, I always offset the clip so that the two blades are slightly different in length. 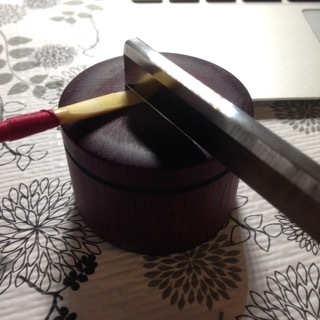 which forces the blades to offset, so I can clip straight down and wind up with an appropriately uneven result. 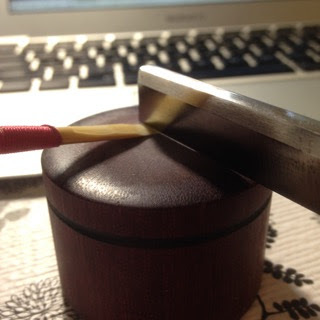 Occasionally, to make the articulation a little zingier, I will clip straight, and try to minimize that difference between the blades. But I seldom find that result to be perfectly pleasant. 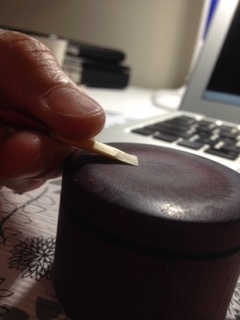 It may solve the immediate articulation problem, which may be the thing I needed, but in my experience this technique sacrifices depth and warmth in the tone. My close up photos might make it seem like there's a BIG OBVIOUS DIFFERENCE between the blades, but sometimes I have to hold them up really close and squint to figure out which side goes on my lower lip and which on my upper. 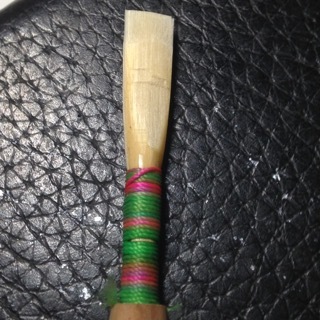 To solve that I always choose the side of the reed with the "crossover" in the thread to be the lower blade. This gives me a visual and tactile clue as to which way to play the reed. I can plop it in without looking and know that I'm doing it right - which in turn makes it really look like I know what I'm doing. It makes me appear unfussy. Has this been useful or interesting? I've made a PDF of it - for your reference, or for your students. You can download it HERE!